Beautiful country setting for this over 2000 sq ft doublewide just off hwy 16 annd 150! 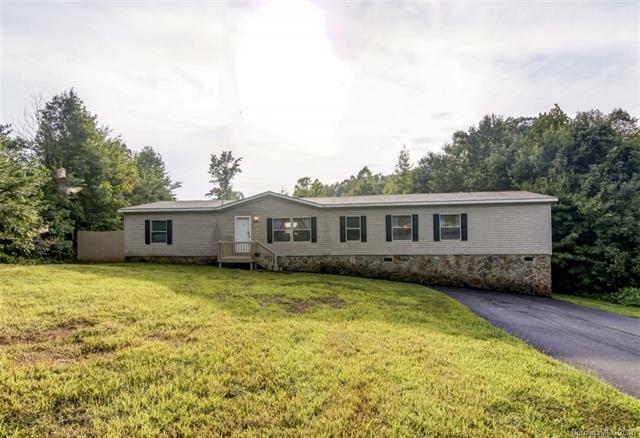 Home sits on almost 3/4 acre lot with large deck for entertaining, partially fenced yard, and woods for privacy in the back. The home features a great floorplan with a central kitchen giving you an open feel and a split bedroom plan with a private master. The home's interior is spacious and open with large rooms and tons of natural light. The kitchen is expansive with plenty of cabinet space. The home has a 3 bedroom septic permit and is being advertised as a 3 bedroom due to that reason but the home is currently used as a 4 bedroom with 4 private rooms with closets.